Microfinance refers to a variety of financial services offered to the working poor. Microfinance products may include loans, savings, insurance, or other financial products and tend to be for very small amounts of money. Microcredit was once hailed as the solution for global poverty. Today we share five reasons why Microcredit fails and what can be done about it. Esperanza is a mother of 6 children from Bolivia who sells empanadas and flavored ice in the local market. When she joined a Five Talents savings group, she committed to saving 30 cents per week, sacrificing slightly more than a dollar of her hard earned income each month. "When I saw the sisters of the church [come] to save together, I thought it was difficult to save for me because there are many expenses that I have to pay: rent, electricity, water, studies of my children, my business supplies, etc." When her mentor shared the biblical parable of the Five Talents, however, Esperanza took it as a personal challenge. "The day when we learned about the talents, I received the challenge of working with what the Lord has given me. " "I saw that it is possible to start a business with very little money because if we are good servants with what the Lord has put in our hands, then He will entrust more. So I accepted the challenge to use some of the money from the group to invest in my business to grow my earnings." The following week during their regular meeting, Esperanza borrowed a loan of $7.25 from the group. She used this money to expand her business and began increasing her profit each week, paying back her loan and setting aside more money for her business and for savings. "I invested the money buying more materials for my business, and I went to sell my raspadillos (flavored ice). I [earned] a lot of money and [learned] how to separate some of our profits for everything, offerings, mercy, business supplies, etc. And I was very happy to do so." Esperanza has experienced much pain and hardship in her life. Kidnapped as a young woman she was forced into early motherhood. Despite all of the challenges, she is grateful for God's provision and protection. She is glad that she can provide for her children and can serve as an example to other women in her community. "God has truly been good to me, since I received Him in my heart. I have always seen His love and protection. When I did not know the Lord I suffered problem after problem. . .I had many wounds in my heart. Now everyday I'm happy because the Lord shows me that the good Father is with me. When I'm happy we laugh together. . .When I'm worried, He shows me His word to help me; at all times He is taking care of me and I'm grateful for that." Help more women and men like Esperanza access mentorship, savings, loans, and business development. Make a gift to Five Talents and offer help, hope, and opportunity to families in need. When she was younger, Anne showed promise in school and finished high school earlier than the average American teenager. Despite this, as an adult Anne's options were limited. She and her husband supported their family of five on a single income stream from his small tailoring business. Every shilling was spent on necessities without room for saving or investments to grow their income. Their credit history with the local commercial bank was poor so accessing business loans was impossible. Anne joined her local Five Talents Trust Group in August 2013 on the recommendation of a close family friend. At first, Anne's savings ranged between ksh 300-ksh 350 (about $3) a month. This was the few small coins she could spare after her daily visit to the market. After a number of months of saving and business training, Anne was invited to take a loan of ksh 5,000 ($50) from the group's pooled savings which she used to buy in a small flock of free-range chicks. By repaying this loan, Anne unlocked a much larger loan of 60,000 ksh ($600) which went towards renting a small plot of land and purchasing a larger flock of chicks consisting of both layers and broilers for eating. When we visited her in late 2015, business was going well. Anne and her husband had completed construction of their new house, and all of her three children were attending school. Learn more about our 1,000 Friends Program and the opportunity to bring transformation and hope to communities across Eastern Africa. Reporting by Five Talents Kenya and Five Talents UK with Adam Dickens Photography. Mary's husband passed away years ago. Like many widows in the villages of Buye, Mary struggled to maintain her home and meet her daily physical needs. Friends from church prayed with Mary. They also invited her to join a Five Talents program providing training in financial literacy and business skills. Mary learned biblical principles of financial management. She also heard stories from friends who had developed successful small businesses. Mary was encouraged to identify her God-given talents, explore her available assets and resources, and put them to wise use. Mary learned the discipline of saving and joined a small savings group. With the encouragement of friends in her group, Mary used her first loan to buy and sell avocadoes. Her business grew over time. By developing a sustainable business Mary was able to provide a steady income for herself. She also saved and was able to use her profits to install a new roof for her home. Helping widows like Mary is why we are here. Five Talents continues to help women and men across Burundi and in low-income communities around the world. Make a gift to Five Talents today and empower an entrepreneur. Sign up for our newsletter and receive more stories of transformation. Children across the country are beginning the academic year. There's the requisite trip to the store for school supplies. The nice, new outfits. The big, yellow buses. In many of the communities where Five Talents works, the situation is quite different. There's no school bus, because there are often no roads – only dirt paths. Classrooms have no electricity. What's worse, many children never even have a chance to attend school. Their parents simply can't afford the uniforms, pencils and notebooks. However, because of Five Talents, this is changing. Our savings, microcredit and business skills training programs help moms and dads establish a sustainable micro-enterprise that can provide for their family and pay for their children's education. The success of our programs – and these parents' micro-enterprises – trickles down into the family. We have moms and dads joining our programs not only to improve their finances, but because they want their children to go to school – to learn to read and write, add and subtract. Outside of Jakarta, Tina (pictured above with her children) is running a business selling snacks and drinks near a school campus. Before Five Talents and our partner in Indonesia, GERHATI, helped her launch this business, the former factory worker was unable to pay her children's school fees. But now she's earning enough to cover the cost of uniforms ($60 a year), books ($10 per semester) and after-school care ($10 a month). In rural Peru, Francisca (on left) wakes her children every morning with a simple breakfast of oats, chuño and corn. "We have to eat very well because we have to go to the city on foot," she said. With no other transportation options, journeys like this to school and work are the norm for Francisca and her family. With the help of an initial loan of 500 soles ($167) from Five Talents, Francisca was able to put her children in school and launch a second micro-enterprise selling fruit in bulk. Virginia in Burundi (pictured below) couldn't afford to send any of her five children to school before joining the local Five Talents literacy, financial education and microsavings program. But after building up savings and taking out a small loan of 20,0000 Burundian francs ($14), she began to sell cassava leaves, bananas and vegetables to two restaurants. "I have gained much profit," she said. "With that profit, I have improved my family life conditions and sent two children to school." On their first day of school, they wore shoes and uniform and carried a ruler and some pens in a new book bag. "I am the model in my community. Even my neighbors have joined a saving group after seeing my conditions changed," Virginia said, adding, "Even my children are very smart compared to others." When moms and dads are empowered to use their God-given talents to provide for their family, children are able to attend school. With that new pair of shoes, Virginia's children will be able to kick around a soccer ball with classmates. With those pens, they'll learn to write their name and balance a simple math equation. With the food that Francisca provides every morning, her kids will have energy to study hard. With the after-school care that Tina pays for, her kids will get assistance with their homework. With Five Talents, families are being transformed – and their hopes for the future are being fulfilled. Make a gift today! We need your support to continue helping women and men build a sustainable living and provide for the needs of their family. A few years ago, The Economist highlighted a form of microfinance that Five Talents has been practicing for nearly two decades. 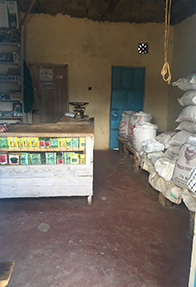 The story, published on December 10, 2011, praises the savings-led model of microfinance, which involves groups of women and men who pool their savings before drawing out small loans from that pool in order to sustain and develop their micro-businesses. The savings approach to microfinance is much different than the microcredit model that is widely used. We at Five Talents were delighted to see The Economist's coverage of savings groups, but we would like to make a few additional points that show how savings groups can also be an avenue for community transformation. Five Talents has been working with this model for nearly two decades. What is most compelling about the savings group model is that it can reach – and empower – the very poor. In other words, those people who are too poor even to have access to mainstream microfinance organizations that are giving loans of $60 or more. None in the group had ever saved or borrowed, so in order to create some capital, they all labored together by carrying construction materials for a builder and pooled their pay. With Leonie's first loan of just $7, she bought salt and sold it for a profit in her community. As it turns out, the primary beneficiaries of her success have been her children. "I can pay for school fees so my children can go to school," she told us. "All will go to school – I won't keep any at home because I was kept at home and I don't want that." Group-led microfinance can also lead to significant social change. In 2007, Five Talents helped to build a community bank in a rural village in South Sudan. The village was subsequently burned down by a rival clan from a neighboring community, but the bank survived the pillaging. Later, the members who had savings in the bank became a force for reconciliation and brought the different clans together. Now the formerly rivaling clans live in peace and are using their savings to be productive and not destructive. What's just as important as seeking to bring financial benefits to the poor is seeking to bring the social benefits of financial literacy, leadership development and unity. Thus, savings groups are engines for leadership development, empowerment and dignity – not just for financial gain. Earlier this month, we shared the story of Eiber, a savings group member in Tarija, Bolivia. Both Eiber and his wife, Marcia, take part in Five Talents' micro-savings and training program and have seen some remarkable changes in their lives and marriage. "Regarding my work, before I got married I was an assistant to my uncle. I remember that no one wanted me to help me [with] capital to form my micro-enterprise. But with the help of God, I was eventually able to obtain a loan. Now that I am a member of a savings group, I can help other people to bring together capital that they need. This makes me very happy. I make 10 dozen flip-flops (leather sandals) a week because there is so much demand. When I [recently] received a group loan of 280 bolivianos ($40), I used all of it to buy some accessories that I needed for the flip-flops. This week, a woman came to my workshop and asked me to make 30 dozen flip-flops so that she can take them to Oruro (another department in Bolivia). Since then, other people also have placed orders [to be sent to] the interior of the country. This is a new experience, and I am excited. I want to hire three more workers to make more flip-flops and store them for my clients. For this, I will join a rotating savings group that loans more money, because I want to travel to Santa Cruz to buy leather in bulk for the flip-flops. The most difficult part of my job is making the soles of the flip-flops. I am the only one who does this on my work team, because it [requires] a lot of strength and patience to do it well. If I am not patient to measure with care the leather to the iron, I can lose a lot of money. I believe that the craftsman is an artist." Help us empower more craftsmen like Eiber: Make a gift to Five Talents today. Editor's Note: This article by The Reverend Jeff MacKnight first appeared last week on the official blog of the Episcopal Diocese of Washington. Father MacKnight, a Five Talents board member, is the Rector at St. Dunstan's Church in Bethesda, MD. I know we'll never all agree on the hot-topic issues, but I still hope we can act together on basic Christian values, like helping the poorest folks in the world. Five Talents is an Anglican organization that does just that through microfinance services at the grassroots level in the poorest countries of the world. Five Talents was started at a global meeting of Anglican Church leaders, in response to their deep concern for the poorest of the poor. The founders wanted to guard the dignity of poor people, and assist them by creating jobs and opportunities to rise out of poverty, so in 1998, Five Talents was founded. Its byline says it all: "Fighting Poverty, Creating Jobs, Transforming Lives." I've been involved with Five Talents for years, and now serve on its Board. St. Dunstan's has supported Five Talents projects in the Dominican Republic, Peru, Indonesia, and South Sudan. One of the things that excites me about Five Talents is the faith-based organization's focus on transforming not only the financial situation of their clients, but also their social and spiritual well-being. A great example of this transformation is the story of Carmen in Bolivia. This 35-year-old woman, a single mother, sells cosmetics and, on weekends, works as a kitchen assistant in a restaurant. Carmen is also the treasurer of a Five Talents savings group that calls themselves the "Saving Bees." Awhile back, Carmen's son, Luis, became very sick. Under normal circumstances, she would not have had any money to pay for medical treatment. As a result, she would have had to borrow money from her business – or from a loan shark. Either one of these options would have set her family back. Fortunately, she had been saving money every week through the Five Talents savings group. So when Luis became sick, she was able to use some of that savings to pay for a medical procedure. "If I had not saved money, I don't know what I would have done to get the money," she told staff from Five Talents' partner organization in Bolivia, Semillas de Bendicion (Seeds of Blessing). Carmen's spirit was troubled when she first joined the Five Talents program. She rarely smiled and could sometimes act harshly with others. "She didn't leave her house, and she didn't talk much with her family. The saddest part was that you didn't see her smile – she simply escaped from any activity that could provoke a smile," said Sara, a staff member at Semillas de Bendicion. "But without a doubt she was the best in how she handled numbers, and she was very honest." That's why, last year, her peers elected her to be the group's new treasurer. Slowly, as Carmen grew into her new role, her outlook began to change. She smiled more often. She began thinking about attending night school. And everyone – including Sara – noticed her gradual transformation. "Now she is a friend to all of us, and when she sees us, she has a beautiful smile on her face. Moreover, she isn't as harsh with the members of the savings group – she is cordial and friendly, and they always laugh with her. We are happy for her because she is beginning to live with joy." Carmen's transformation is a gift from God, through Anglicans working together at Five Talents. Through training, savings groups, and microloans, Carmen has lifted herself – and her son Luis – out of grinding poverty. A battle is being waged between two different types of microfinance practitioners. Will the poor be empowered or exploited?